Range of liquid and paste epoxies and polyester products for concrete repair. AR125 and Tek124 are available in paste form. Tek148, Tek148XT (fast setting) and XR210 are liquid casting types. Wet to Dry Concrete Epoxy Adhesive LR52 with hardener EH52. Epoxy based paste / mortar used to repair concrete pre-fabricated products, such as storm water pipes, culverts, concrete poles, etc. This two-component epoxy paste AR125A and AH125 results in a very tough and hard material, with good adhesion to concrete. Easy to apply by spatula which results i..
ER28 is a semi-clear, non-flowing epoxy paste used with AH28 adhesive, providing very high rigidity and mechanical strength. Typically used to bond granite, stone and concrete. 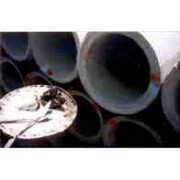 Shore hardness > 90 D ..
Epoxy mortar with good acid resistant properties ..
All products are available via the trade only. 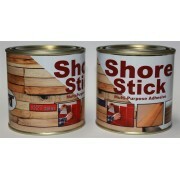 Please visit www.art-damp.co.za for more details Shore Stick - General Purpose Epoxy Glue AR77 - AH77 GENERAL PROPERTIES: Premium quality epoxy adhesive paste with high strength. Originally designed to bond wood skirting b..
ER12 - EH52 is a clear epoxy system primer which cures under humid conditions. Very good adhesion to concrete. Exhibits good chemical resistance. Used mainly as a primer for the epoxy swimming pool repair system ER12F / EH43. can also be used as a low viscosity concrete adhesive and patching..
All products are available via the trade only. Please visit www.art-damp.co.za for more details Shore Membrane FR5 - FH5 GENERAL PROPERTIES Membrane Resin FR5 - FH5 is a premium quality waterproofing liquid with high strength normally used with fabric membrane. Ideal to..